It was by coincidence actually, but somebody at Mahalo Answers made me aware of the feature of the free VLC (VideoLan) video player to convert video images to color ASCII art (some would call this ANSI hehe) in real-time. I thought that this is a cool feature, just by hearing about it. I downloaded the player and was unable to find the option for the ASCII art output, so I asked the guy at Mahalo Answers about it and luckily for me, he answered this question as well (a bit delayed, which made me drop the ball on it as well). The feature is buried deeply within the configuration options of the player and not that easy to find. 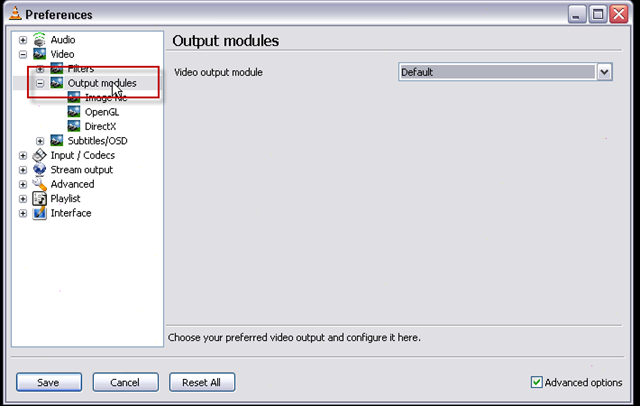 To help you with this problem, see my step by step guide to enable the feature in the VideoLan player. Every step is illustrated with a screen shot, so that there should not be any excuses for why you could not set it up yourself properly. Start with getting the latest version of the VideoLan video player at VideoLan.org (note: the latest version does not have this feature anymore. See note at the end of the post for details). The player is available across platform, over a dozen different Linux and Unix distributions and versions. Binaries for Windows, Macintosh Mac OS X, BeOS and Syllable are also available by the way. It’s released under the GNU License. 1. 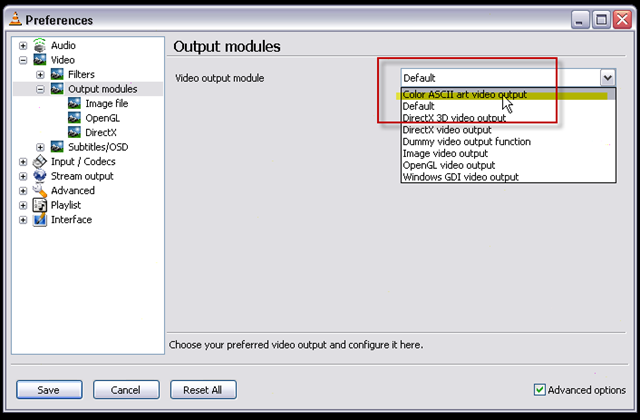 Start the VLC/VideoLan media player and open any supported video file. 3. 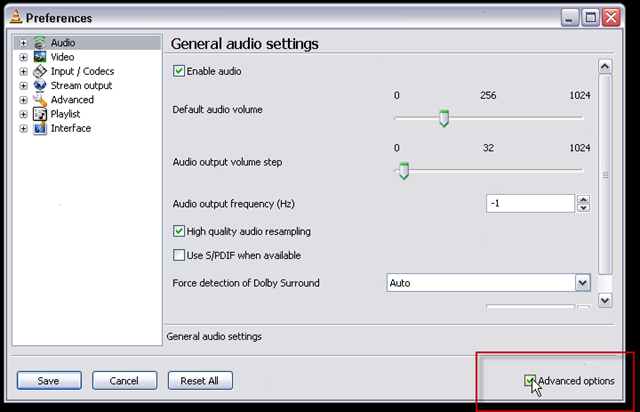 Audio is selected by default at the left. Check out the bottom-right where you can find a check box labeled “Advanced Options”, which should be unchecked (default). Check that box to enable the Advanced Options. 4. Back to the navigation to the left. 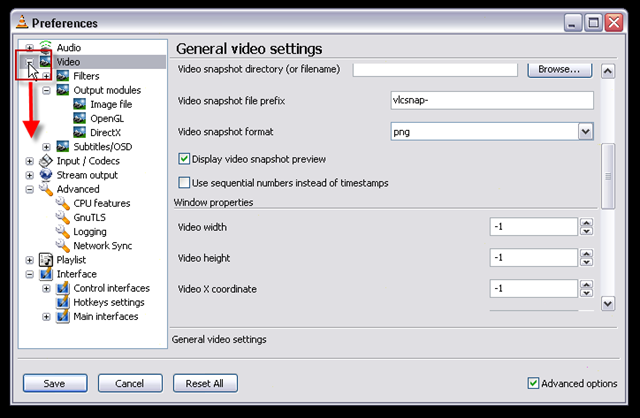 Click on the plus sign next to “Video” in the preferences box to open the configuration tree node for the “Video” options. 8. Stop the video that you opened, if it isn’t stopped already or if you stopped it after step 1. Here are some results of me playing with that option for some videos of mine to give you an idea of how the real-time converted video images look in text mode with colors. I am not sure yet, if the module sticks to the 16 pre-set colors defined for PC MS DOS ANSI, which would be really cool. It may uses other colors instead. I have to do some more tests to find that out. Playing Around with the VLC Color ANSI Art Video Output Module from Carsten Cumbrowski on Vimeo. You can download this video in AVI format at Mediafile.com. The player itself is worth checking out in general, beyond the ASCII output feature, which is kind of a “hidden treasure” within the features set of this open source video player. It supports virtually all major video formats, including Mpeg, AVI, QuickTime MOV/MP4, Windows Media WMV/ASF, Macromedia/Adobe Flash (FLV), the open source Matroska, Real Media (RealPlayer), OGG, FLAC and even Midi and raw DV video, WAV, MP3 audio etc. It can play back streaming video UDP, TCP and DCCP/RTP Unicast or Multicast, HTTP/FTP and MMS in addition to traditional DVD video and audio, Audio CD, Video CD and SVCD, DVB from Satellite, Digital TV and cable television. A lot of stuff for NO BUCK at all. You cannot beat free, or can you?! Update: I just learned that the current version of VLC (Version 0.9.8a, 16 MB) does not have the ASCII output feature anymore. I have VLC Player Version 0.8.6f Janus (wxWidget interface) from last year, where the feature is still there. You can download this older version here from my web site: vlc-0.8.6f-win32.zip (9.19 MB). I don’t know why they would remove such a nice feature from their player. Mhhh. Hey Roy, This only works with the older version of VideoLAN, the newer version doesnt have this afaik. I installed a pretty recent version from end of last year, v0.8.6f. The current version is 0.9.8a. The current version is much larger than the one I have: 16 MB vs 9 MB. Why should they drop that feature. Mhh.. I am uploading the previous version that has the feature to my server and will link to it from this post very soon. I just updated the post. You can download my older version of VLC Player via the link at the end of my updated post. I was wondering: What program did you use to record the video output? Can it be done directly from VLC or do you have to use some kind of video capture software? I usually use the Camtasia Recorder by Techsmith (which comes with their Camtasia Studio software) for Screen Recordings, but also their smaller stand-alone tool Snag-It (which I use extensively for Screen Shots) should do it (it is capable of recording video as well). To capture output of a Win32 executable such as a Win32 Crack Intro or Demo, I usually use the free tool by Farbrausch called “KKapture”. Capturing stuff running in emulators like DosBox, WinUAE Amiga Emu or the WinVice C64 Emulator is much easier, because they have that feature build-in already :). I hope that answers your question and beyond hehe. Hey, thanks for the info, that was a really neat feature I knew nothing about! Happily, the colour ascii output feature has made a reappearance in VLC 0.9.9! Next Post: How to Package a Scene Release?